Don't you just hate it when you're applying eyeshadow and then realise that there's still leftover product on the brush from the last time you used it? Have you been needing a quick and easy way to spot clean your brushes without waiting ages for the bristles to dry? This is where Shadow Switch comes in handy! The lovely people over at Dee&Co sent me over the handiest brush cleaner from Beauty Essentials which is a new, upcoming brand that produce great beauty tools which are essential to everyone's kit. 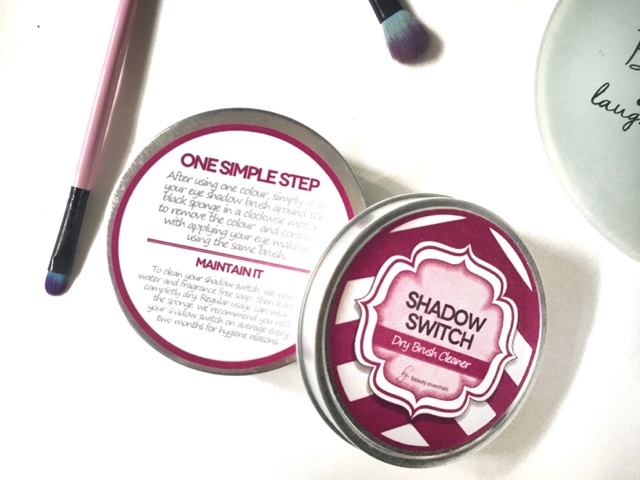 Shadow Switch is a dry brush cleaner which claims to extract all traces of makeup powder from your brush, allowing you to switch between different colours and shades. It also eliminates the possibility of product transfer between your powders when using the same brush. It truly is one of the handiest tools I own, especially if you're a constant eyeshadow user like myself. It comes in a small tin and it includes a wire sponge inside. All you have to do is simply press and rotate your brush over the Shadow Switch in a circular motion until all traces of colour powder have gone. You'll know when the brush is clean by testing it out on the back of your hand, if no product comes off then you're ready to go. I love how this is a dry brush cleaner as it means that you don't have to get your brushes wet and leave them to dry for hours until you can use them again. I've been using Shadow Switch every day since it arrived for all of my eye brushes and it has done wonders for me! The tin is about the size of your palm therefore making it a perfect size to take away with you on the go. No need to constantly clean your brushes when you're on holiday when you've got this little handy tool with you. How to maintain your Shadow Switch? As you use the Shadow Switch, it tends to collect old powder residue therefore it does need cleaning I'd say every few weeks or so for hygiene purposes. To clean your Shadow Switch, just use warm water and fragrance free soap. Make sure all the soap is rinsed out completely and then leave until it's fully dry. 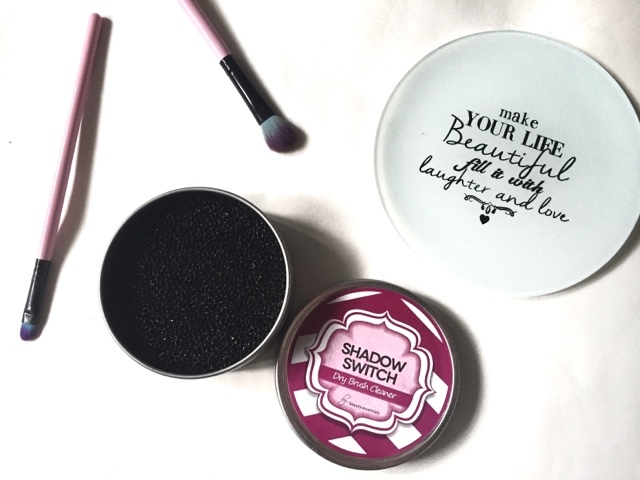 Beauty Essentials recommend that you refill your Shadow Switch every two months. This product retails for £5.99 on Amazon with free delivery! I'd recommend this product to everyone as I'm so impressed with how handy it is and with how great it works. If you want to see more of Beauty Essentials then check them out on their Twitter page @BeautyEssUK for more beauty releases. What are your thoughts on Shadow Switch? 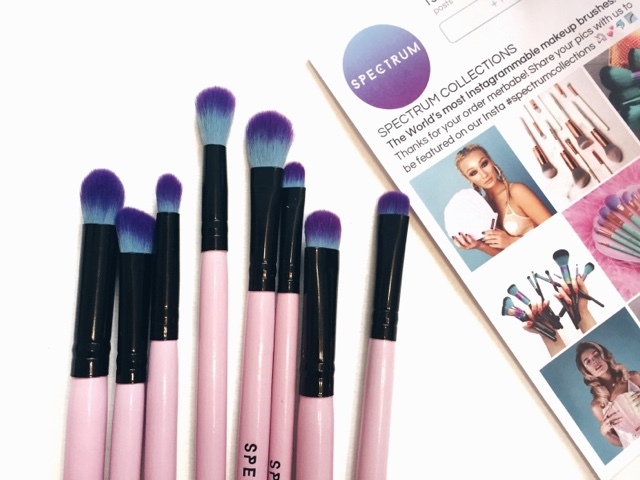 I did a blog post a few weeks back on essential makeup brushes that I feel like everyone needs in their collection and as you can tell, I am obsessed when it comes down to makeup brushes so you've probably guessed how excited I am right now to be talking about these new Spectrum 8 Piece Eye Blending Set! * The lovely people over at Spectrum actually sent me these brushes and I was literally like a little kid at Christmas when the package arrived at my door. First off, can we just take a moment to appreciate how pretty these are? 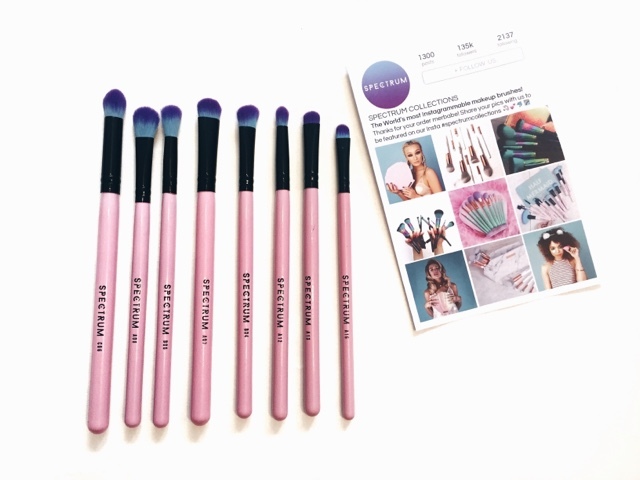 The most instagrammable brushes ever. They're so pretty that I even keep them in their own little makeup brush holder. The gorgeous baby pink along with the mermaid blue and purple work wonderful together and I was actually scared of using these at first mainly because I didn't want to get them dirty. A16 - Precision Crease brush is perfect for when you want to create a sharp looking cut crease which are on trend at the moment. I also like using this to help conceal underneath my brows as the bristles are short and flat so it works perfectly. B06 - Tall Tapered Blender brush is one of my most used brushes out of this collection. 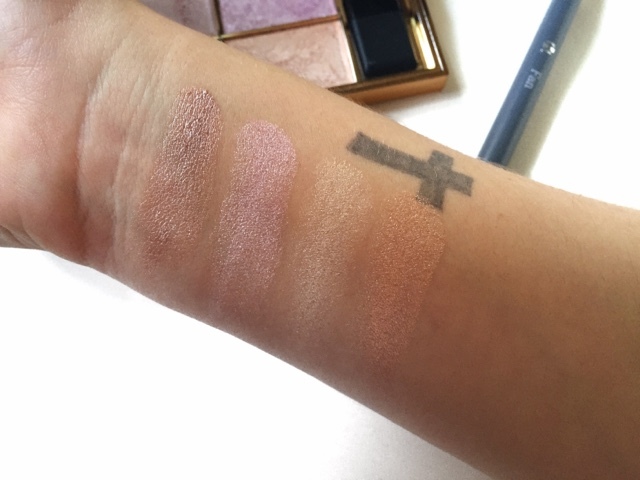 It's incredibly soft and the tapered shape to it makes it easier to blend out eyeshadows. I love using this brush when applying my transition shade as it blends to a soft, professional finish. B04 - Small Angled Shader brush comes in handy when it comes down to applying colour in the outer corners of your eyes. When I'm using a darker colour on my outer corner, I use this brush to help blend it out and also into the crease. A08 - This Medium Fluffy Shader brush can be used for a multiple of things. You can use this to pack colour directly onto the lid or to help blend out colours on the crease. I found that this brush also works well when it comes down to applying cream eyeshadows. A07 - Stubby Shader brush. This works well in the inner and outer corners as well as blending out colour when creating that cut crease. It's very densely packed with bristles yet still managed to pack colour onto the lid without any fuss. A12 - Fluffy Pencil brush is the one I use when it comes to applying shadow on my lower lash line. It applies colour and blends it out at the same time from how soft and fluffy it is. I also like using this to apply a brow bone highlight as well as a inner corner highlight. 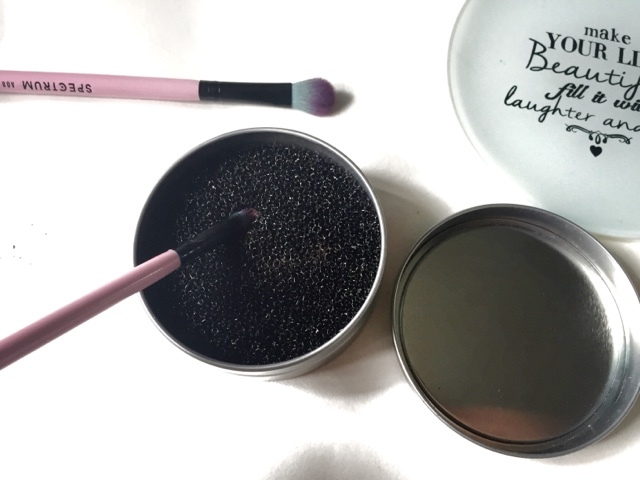 A13 - This Short Smudge brush is perfect for when I want to create a smokey eye look. I like to pack on dark colour on the outer corners of my eyes with this and then blend it out with a blending brush. It's also another good brush for lining your lower lash line. C06 - Tulip Eye Contour, I loved the name of this brush because it goes with my blog name! It also managed to do a wonderful job with blending and contouring in the sockets of your eyes to add more depth and dimension. Each individual brush is so incredibly soft that they work amazingly well on my eyes to help me achieve that perfect look. Since receiving these in my post, I haven't stopped to pick up any of my old eye brushes because I feel like none of them can compare to how these beautiful Spectrum ones feel. All of the brushes are made from the highest quality synthetic hair. They're also Vegan and Cruelty free which is always a good thing! It's also useful to mention that these brushes wash really well, they don't lose there shape and I sometimes feel that after you wash brushes, they can tend to feel a bit rough however these ones are super soft and work exactly the same as if they're brand new! This is the first I've tried of Spectrum Brushes, I know that I will definitely be trying some more out in the future as these are just the best. Have you tried anything from Spectrum? I am extremely excited about this post, mainly because it's a makeup collaboration with my best friend and fellow blogger Taylor from tmaemakeup, how flippin' exciting? Taylor does a series over on her blog called 'Makeup Inspired by A Film' which is where she puts up a poll on Twitter asking you guys what film is your favourite and the film with the most votes wins, then she'll do an incredible makeup look inspired by the film poster. I thought this was such a fun and creative idea therefore I was very excited when she asked me if I wanted to do a collaboration with her. We both decided on doing something horror related for a bit of fun and because we're also massive horror movie fans. 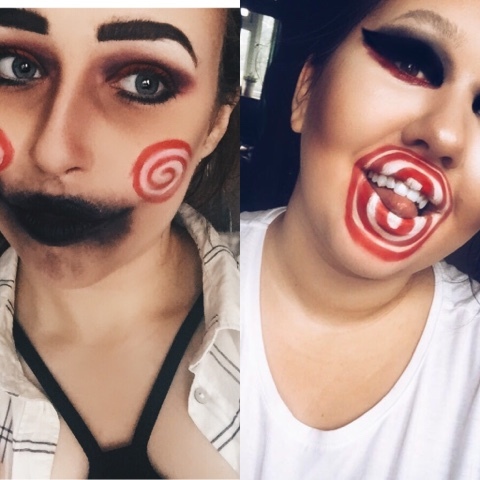 Saw was the winner and we both created our own unique look inspired by the film (these looks would be perfect for upcoming Halloween). Taylor's look is featured in the picture above and if you'd like to read more about how she achieve this look then simply click here, you wouldn't want to miss out! Here is my finished look. Now as you can tell, it's not the most wearable everyday look! However I believe it'll be a fun look to do for Halloween which is my favourite time of the year and it's only next month! 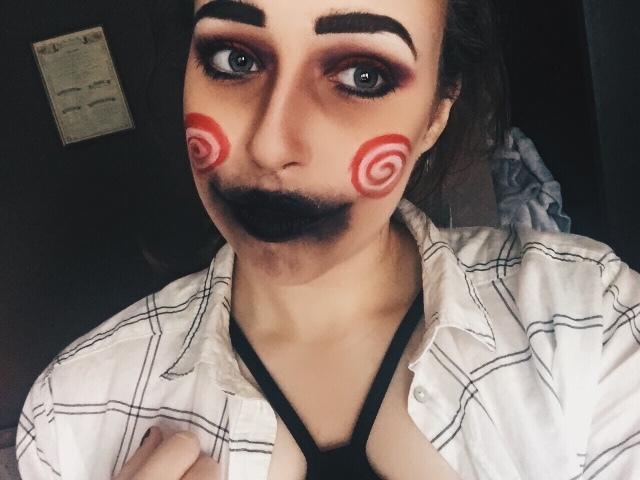 I'm going to give you a quick run down of what I did and some of the products I used to achieve this Saw inspired look. For my base I used Miss Sporty Insta Glow primer, I find that this primer makes my foundation look more flawless. Speaking of foundation, I use Maybelline SuperStay Foundation all over my face and then I covered any blemishes with Maybelline Fit Me Concealer. 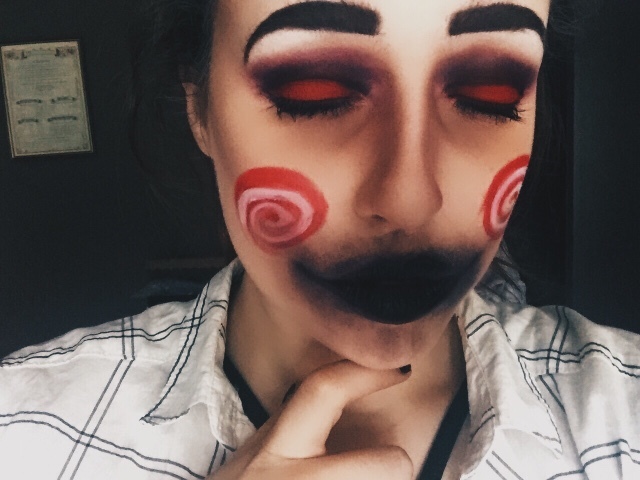 I wanted quite a dramatic contour with this look as JigSaw from the movie has heavily contoured cheek bones and they're more of a grey toned shade. I started off with using the darkest shade from my Technic Cream Contour palette and I carved out my cheek bones all the way down to my lips and down the sides of my chin (you can't see the chin contour anymore as the lipstick smudges covered them up). I then continued to contour my forehead and down the sides of my nose, I blended everything out with a Real Techniques Expert Face brush. I powdered my face with Rimmel Stay Matte powder to set the contour and my foundation and I then proceeded to go over the contour with a grey eyeshadow from Zoeva Warm Spectrum palette just to make it that bit more dramatic. I baked underneath my contour using a Primark Sponge and another Rimmel Stay Matte powder which was a shade too light for me, as I wanted my contour to be sharp. I literally had no idea what I wanted to do with my eyes so I just went with the flow, but I was fairly happy with how they turned out. I'll start with my eyebrows, I used a dark brown eyeshadow mixed with a matte black eyeshadow from the same Zoeva Warm Spectrum palette. I wanted them to look very thick and very dark so I used a Maybelline Brow This Way gel to brush my eyebrows upwards so they looked bushier. I then carved out underneath my brow with a light concealer shade from my Technic Cream Contour palette just to clean them up a bit. For my eyes, I started off with using Snazaroo Red face paint all over my lid and then I used Taylor's Makeup Forever Red Pigment over the top to make it a bit more vibrant. I use the same matte black eyeshadow on top of the red colour and blended it out with a big fluffy blending brush from Morphe. I was hoping for it to be jet black however the colours mixed together, ending up creating a dark purple, but I kinda liked it. I smudged the black eyeshadow underneath my lower lash line also for more definition. I skipped liner and went straight onto mascara using my Benefit Roller Lash. To create those dark heavy bags underneath my eyes, I used a mixture of contour shades from my NYX Highlight & Contour Pro palette, using my finger to smudge it under my eyes until I achieved my desired look. Of course as it was Saw, I just had to put the JigSaw cheeks in the look! I simply used Red and White Snazaroo face paint for this. Pretty straight forward. I knew I wanted to do black lips for this look however I don't own a black lipstick. I chucked on the darkest lipstick I own which is Makeup Revolution Diamond Life lipstick which Taylor got me for my birthday, it's a gorgeous dark, deep purple shade. I then popped some matte black eyeshadow on over the top to make it the colour I wanted. I felt like this look seemed too neat, so I ended up smudging the lipstick all around my lips using my finger and I also drew small 'joker like' lines each side of my mouth to give it a cool effect. I had such a fun time creating this look to share with you guys and it's really got me in the mood for Halloween time, I'm so excited to create more crazy looks like this in the future. 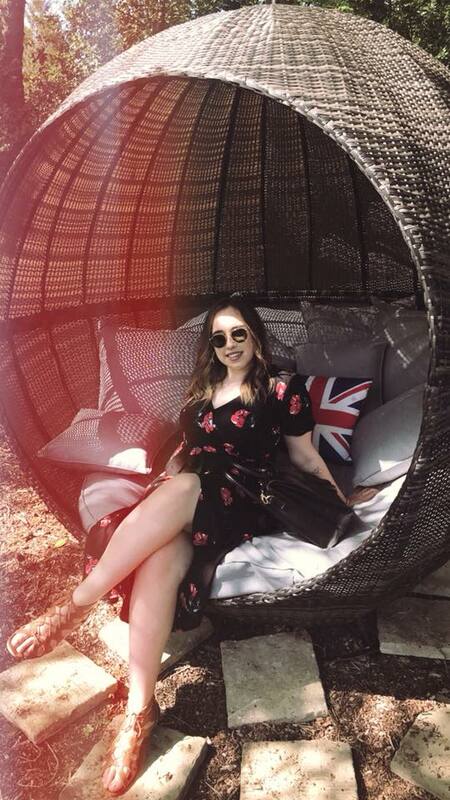 Like I said at the beginning of this post, if you'd like to check out Taylor's amazing look then click here or the link located at the top of this post, she did such an incredible job as always. I am an absolute Yankee Candle fanatic. I believe I discovered the wonderful world of Yankee Candles a few years back and ever since, I just cannot seem to stop purchasing them. Of course, there is so many different ranges of candles on the markets nowadays however I feel like nothing can compare to my love for Yankee's. 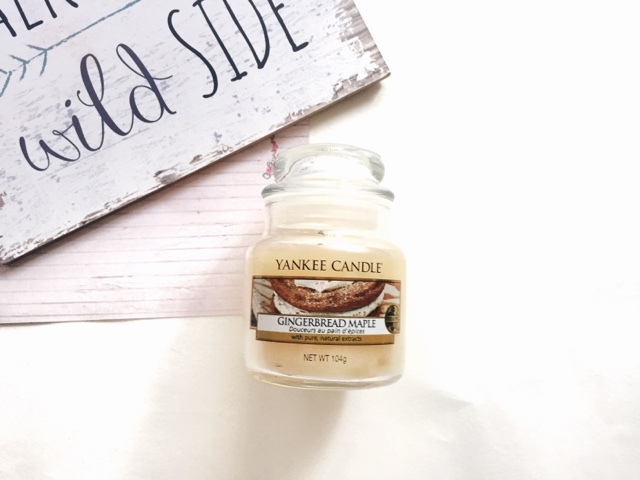 I'd like to quickly point out that my favourite scents are 'food scents', the ones that smell like baking and cupcakes and cinnamon... I could go on for ages. A few weeks back I took a trip into Bluewater with my boyfriend and we both had a look around in the Yankee Candle store and of course, I couldn't leave empty handed. Let's just start off with my favourite candle out of all three of these. This scent is incredible! 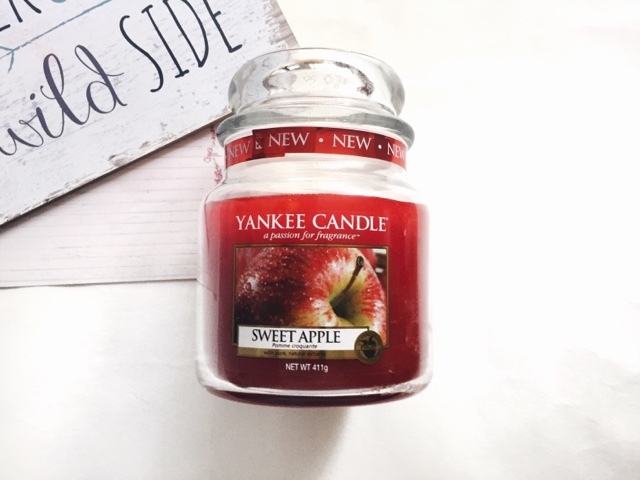 It's so sweet and fruity that it smells exactly how they describe it - "The sugary sweet crispness of a perfectly ripe apple fresh from the orchard". What I love the most is the fact that it still smells exactly the same when it's burning and it seems to fill my whole bedroom with a gorgeous fresh apple scent however it's not too overpowering which is good. I don't like those fragrances that are way too strong and end up giving you a headache. This one is just perfect and I will most likely be re-purchasing this once I'm all out. On the Yankee Candle website, it retails at £18.99 for a medium jar like this one... however in store it was on sale for £9.45 so it was a complete bargain. Unfortunately, I don't have a link to this one as I think it was only limited edition therefore they don't have it on the website anymore (although I'm sure you can find it on Amazon maybe). I wanted this one as soon as I saw it come out last Christmas but never got the chance to buy it, I think I got very lucky because this was the only one left in store and it was in the clearance section for just £4.50. It has a very strong Gingerbread scent to it with a hint of sweetness which is obviously where the maple comes into the picture. I haven't burnt this one yet because I am saving it for the winter months, it's one of those scents that gets me extremely excited for Christmas. Now this candle is one that I actually picked up for my brother as he was moaning that I have so many candles in my room and he wanted one for his room, haha! He's not a big fan of Autumn scents, he likes more of the Summer scents. 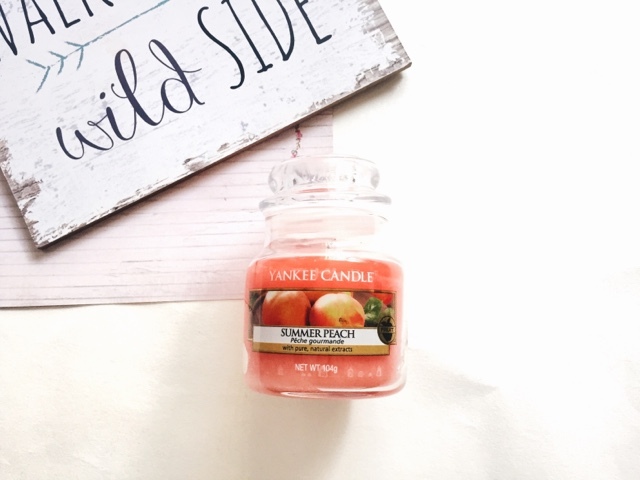 So I picked up this small jar of Summer Peach for him which retails at £8.99. It's extremely sweet and very fruity however it smells exactly like a peach! I can always tell whenever he's burning this candle because even though it's a small jar, the scent seems to fill the whole house. 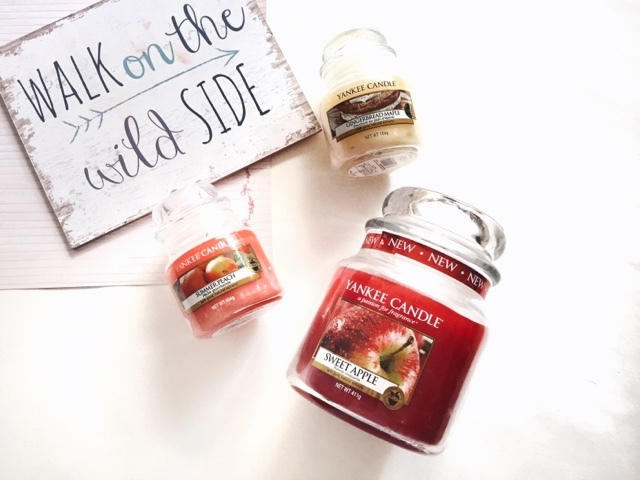 What are your favourite Yankee Candle scents? I want to quickly start off this post by apologizing with how icky and gross my makeup brushes look, I'm aware they're in need of a good clean. There are so many makeup brushes available on the markets nowadays that you can end up feeling slightly overwhelmed with which ones to choose from, they all come in different shapes and sizes I can completely understand how it can feel a little intimidating at times. Back in the day, way before my makeup obsession kicked in, I had a total of 4 crap brushes that weren't very good however I thought they did a fabulous job at the time. As I started to get more into makeup, my brush collection dramatically grew and I realised how much of a difference good quality brushes make when it comes down to makeup application. I am in no way a makeup artist or a makeup expert however I am going to share with you the essential makeup brushes that I feel like everyone needs in their collection. Foundation brushes come in all different shape and sizes. The one that I feel like works best and is essential to my makeup collection is a flat-top kabuki brush, you get such a flawless coverage with this as it really helps to buff the foundation into your skin. This brush works best when using a liquid foundation. My favourite flat top brush would have to be the ZOEVA 104 Buffer Brush. I know it's pretty straight forward but a powder brush comes in handy when you want to set your foundation in place with pressed/loose powder. A large fluffy brush works best with this and I'd highly recommend purchasing one that has super soft bristles so that it doesn't annoy and shift any of your other makeup underneath. Real Techniques Powder Brush is my favourite brush to use when setting my face. This brush is an absolute must when it comes to powder contouring. Try to use a brush that has a slight angle or tapered shape to it, that way it can get right into the hollows of your cheeks bones and really help to carve them out. The brush I use for this is the Morphe M438 Pointed Contour Brush as the bristles are so soft which makes it easier for application and makes it perfect to help blend properly. I used to use a massive fluffy powder brush to put my blusher on with but I've recently found it a lot easier to use a smaller one instead. Using a small brush will help with the precision and you'll have more control over the amount you put on. Sigma F15 Powder Blush Brush is the perfect example of a great blush brush, it's just the right size to fit on the apples of your cheeks. Always remember to start off with less and build up as you go! I'm going to be honest with you on this one, but up until around a year ago I never knew what this brush was for. I used to see them around all the time and thought they were so pointless but I was completely wrong. B. Fan Brush is what I use when it comes down to applying the wonderful highlighter! It applies just the right amount of product on your skin and always makes your highlight looking flawless and on point. 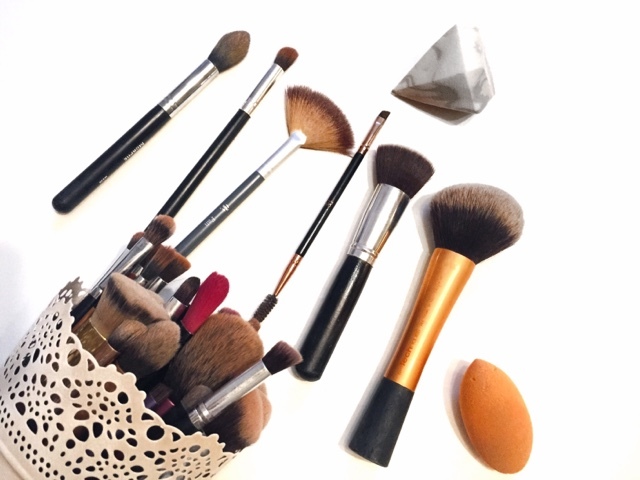 Fan brushes can also be used to apply a light amount of blush and bronzer. This brush is useful for two things: 1. Applying gel/liquid liner and 2. Used as a brow brush. Morphe B11 Angled Liner Brush is ideal for getting that perfect winged eyeliner as the angle makes it that tad bit easier. I love using an angled liner brush for filling my eyebrows in also as I feel like it creates that perfect arch and the soft bristles help glide the product on smoothly. An all-over eyeshadow brush is essentially a flat fluffy brush which is perfect for popping an eyeshadow all over the lid. ZOEVA 222 All Over Shader Brush is a professional multi-functional eye shadow brush which will allow you to apply, blend and shade eyeshadow to your desired look. This brush would also be perfect to highlight the brow bone with. When it comes down to eyeshadows, you really do need to have a blending brush on hand. One tip is to always blend out your eyeshadow so that everything is seamless and crease free! Morpe E27 Pro Round Blender Brush has the softest bristles ever that it makes blending a lot easier as it smoothly buffs and blends to an incredible finish. A spoolie comes in handy when it comes down to brushing your eyebrows. I like using a spoolie brush before I fill in my eyebrows to make sure they're all in the exact place, I also like using it after I finished filling in my eyebrows so that I can evenly distribute the product until I get a nice natural finish. I use the Primark Double Angled Brush which is fab because it's two brushes in one and it's only £1 which is an absolute bargain. I find these brushes extremely useful for when I'm applying transition shades in the crease or even if you're wanting to do a cut crease look. It blends and applies the shadow in all the right places. Morphe M330 Blending Crease Brush works well with cream, liquid and powder based products and helps you achieve the perfect blended look. I honestly only started using makeup sponges around 6 months ago and I have fallen in love with them. Of course, the Beauty Blender is one of the most popular makeup sponges around however I personally love Real Techniques Miracle Complexion Sponge for applying my liquid foundation. You've probably noticed that I didn't include a concealer brush in here and that's because I don't use one, I use a sponge instead as I feel like it gives more of a better finish to my skin. You can use the sponges damp or dry, personally I think using them damp is so much better as it helps to blend out the product more and it gets rid of any excess foundation. What are your 'must have' makeup brushes? Face masks were never really a big deal to me back in the day, other than the occasional sachet packs from Poundland and Primark, now those were simply the best back then... am I right girls? During the past year or so I've found myself wanting to take care of my skin more often and I am slowly becoming obsessed with more and more skincare products each day. As some of you may know from reading my other posts, I have sensitive skin which means that unfortunately my skin tends to react badly to most products and that's probably the main reason as to why I never ventured out and played around with skincare as often as I would like. I'd be too scared that I'd swell up and end up with an itchy, red rash again. Fear no more because I have found my two holy grail face masks which work perfectly with my skin and has really improved it over the past couple of weeks. This product has been getting so much hype over the past few months or so that I just had to jump on the bandwagon and try it out for myself. This mask is enriched with black charcoal which essentially acts as a magnet to draw out any impurities from your skin. It's a deep cleansing mask which detoxifies the skins surface and works deep into the pores, claiming to leave your skin looking clarified and beautiful. The first piece of good news is that it didn't give me a rash and the second piece of good news is that it has worked wonders for my skin. I don't actually use this all over my face, instead I just like to pop it on the areas where I usually break out the most which is my nose, forehead and chin so basically my t-zone. I leave this on for a maximum of 10 minutes and when it's completely dry you can see tiny black dots from all your pores which is actually pretty satisfying not gonna lie! I simply just wash off with some warm water and I was pretty impressed with how easily these washed off and also with how amazingly soft my skin felt afterwards. The only downside to this mask is the smell, I mean... it smells good! However, I find it to be a bit too strong and sometimes ends up irritating my eyes from how strong it really is. This definitely doesn't stop me from using it though, it's too good to not use. 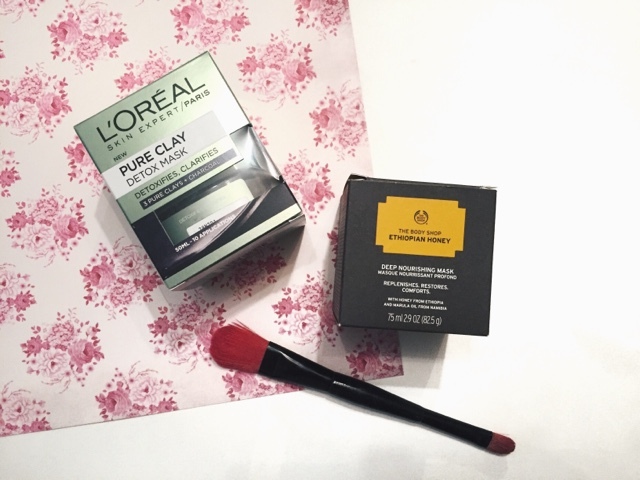 LO'real also do two more masks from this range: Purity Mask which is used to leave your skin purified and matte-looking and the Glow Mask which of course is used for brightening your complexion. The masks retail for £7.99 each, however they're sometimes on offer for £5 in Boots so keep your eyes peeled for their offers. This was a bit of a random purchase however I'm so glad that I did it. I've never heard of these range of masks until I popped into The Body Shop when I was in Bluewater with my boyfriend, I was just browsing until one of the ladies that worked there spoke to me about their new range of 100% vegetarian expert facial masks. There was 5 different face masks throughout the range however the one she recommended for me was the Ethiopian Honey mask which she said was perfect for dry and sensitive skin. The mask was £15 which is a tad pricey than any other mask I own therefore I was very skeptical about buying it, she did a tester on the back of my hand and as soon as I washed it off, I was simply amazed! My hand had never felt softer in my whole life, can you just imagine what it would do to my face? I immediately bought it and it's been my life savoir for my dehydrated skin. 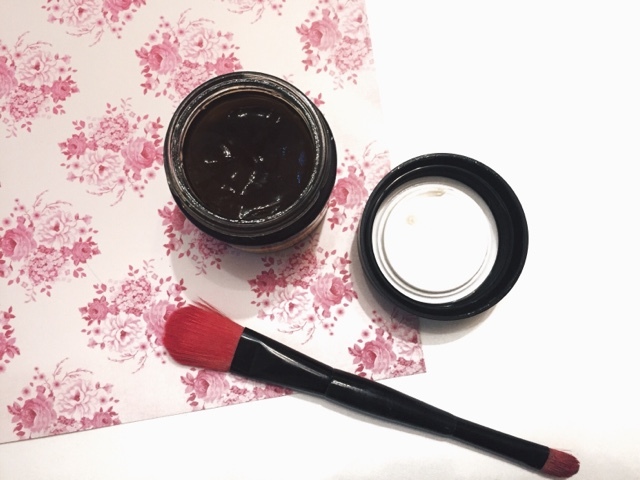 The mask contains Community Trade honey, marula and olive oils for a luxurious experience. What's also great is the fact that it's been formulated without parabens, silicone or mineral oils. I don't know what it is with the scents of these two masks but this one isn't my favourite scent either, it smells a lot better than the L'Oreal one however I feel like this one smells a bit like pepper... Not sure why. Either way, it works amazingly well with my skin type and I like to apply this all over my face straight after I've washed my L'Oreal one off! This just helps bring moisture back into my skin and helps it looking healthy and refreshed. I am really intrigued to try out some of their other masks from this range. 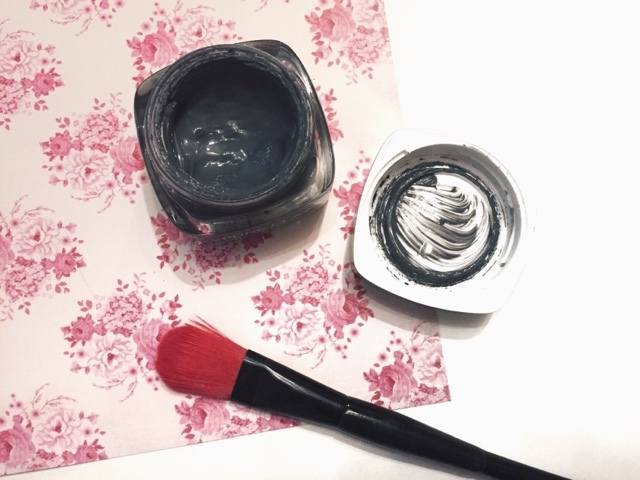 What are some of your 'holy grail' face masks? So I feel like I just need to contain my excitement a bit for this one. I am a massive highlight lover therefore as you can imagine, I was extremely excited when my best friend and fellow blogger Taylor from tmaemakeup bought this for me as one of my birthday presents which I am very grateful for. 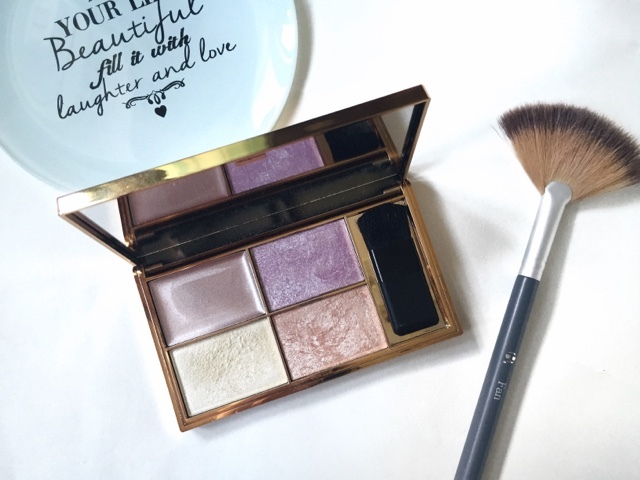 From the 4 gorgeous highlight shades to the beautiful rose gold packaging, this one really does top it as my favourite drugstore highlighter palette. The palette is being sold on the Sleek website as well as Boots and Superdrug (online and in store) for £9.99. The palette contains 4 shades: Ecliptic (cream), Hemisphere (powder), Subsolar (powder) and Equinox (powder). Ecliptic is like a rose gold shade with a slight purple tinge to it. It's such a pretty shade however I don't reach for it that often, mainly because it's less pigmented than the others which is understandable as its a cream highlighter. I sometimes find the formula to be too creamy that when I try to blend it out, it tends to just blend away into a very faint highlight. This would be good for those who prefer more of a natural highlight rather than going all out. Hemisphere is a beautiful lavender powder highlight. It's absolutely stunning and so unique. It's highly pigmented and the formula is so buttery that it glides onto the skin perfectly. This shade is perfect for any skin tone and looks amazing when it's paired with a pink blush. Subsolar is perfect shade for those pale skin guys and girls like myself. It's a gorgeous light champagne shade and also very highly pigmented. I find the formula of this one to be quite powdery and chalky however it still works just as well as the other shades. Equinox is my favourite shade of the whole palette. It's a bronzed rose gold powder and has the same formula as Hemisphere. I love my bronze colours therefore this works perfectly on those days where I want to go all out bronze on my face. As soon as I opened this palette, I wanted to rub every single shade all over my face and blind everyone with my amazing highlight haha. I am so impressed with the formula and pigmentation of this product. 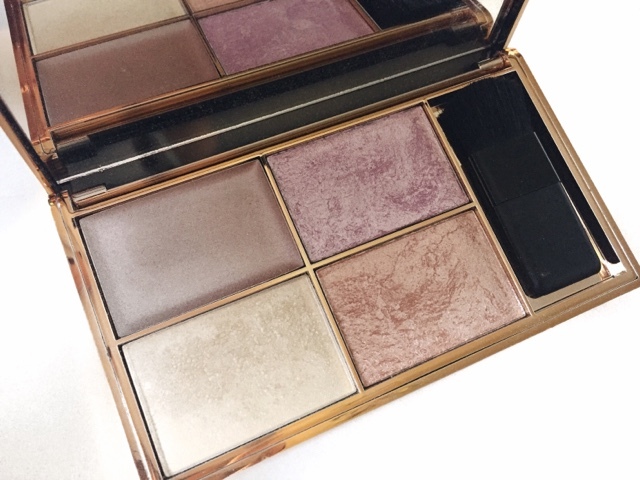 It really is one of those highlight palettes that everyone needs in their collection. What's your favourite shade out of these four?